You may know that a smart security system gives you a safer, more secure home. 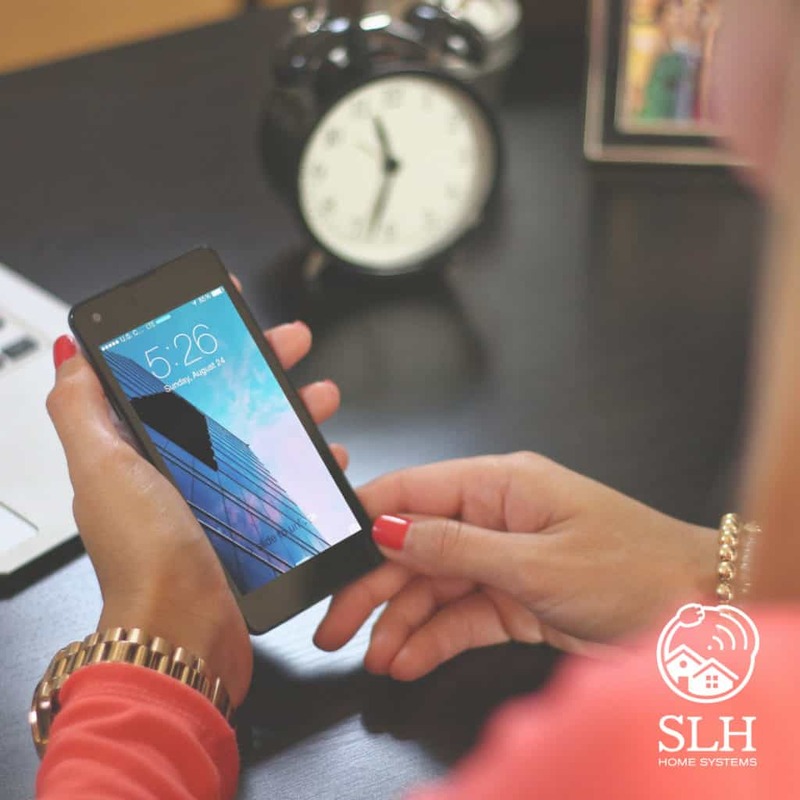 You’re aware that our smartphone app keeps you in control, in the know, and one step ahead of unusual activity. But did you know just how helpful an Alarm.com-powered home can be? Just take Geo-Services. It’s an opt-in Alarm.com feature that does helpful things around your house when you’re leaving home or on your way back. It uses your smartphone’s location on a digital map to understand where you are, and which direction you’re headed. With a few simple Geo-Services rules set up in your Alarm.com dashboard, several things become easier. 1: Forgot to lock up? No problem. Do you ever get that sudden suspicion—typically when you’re 15 miles from home—that you left the garage open? Geo-Services is here to help. An effective way to lower your energy bill is to set your thermostat back a few degrees when your house is empty. But when you’re late for work or excited for a road trip, it’s easy to forget. On your way back home, Geo-Services works in reverse, ensuring that things are comfortable when you get there. As well as turning your thermostat back up , Geo-Services can turn on your smart lights as you arrive home. All you need to do now is open your Alarm.com app and let yourself in; no “doorway dash” required. When no one’s home, you want to see the activity that your smart security cameras capture. When you’re there, however, you don’t need a video alert every time the kids run through the house. Geo-Services lets you automatically pause any, or all, of your cameras’ recording schedules when you’re home. It’s an easy way to conserve video clips and eliminate alerts that you don’t need. A single, circular geo-fence around your home won’t time every task perfectly. For example, it takes longer to adjust the temperature than it does to turn the lights on. That’s why we made it easy to set up more than one geo-fence. For your ‘coming home’ rules, try creating a 10-mile fence to trigger your thermostat, with a one-mile fence for your lights. Once your fences are set up, you can use them for other rules, and customize them until they’re perfect. Want to make life easier with Geo Services and Alarm.com? Geo-Services is included with the majority of Alarm.com-powered smart home security packages, at no extra charge. Don’t have Alarm.com yet? Enter your ZIP code below to connect with your ideal service provider. The content of this article is from alarm.com.